Local marketing is when you create targeted advertising and marketing strategies to increase sales and revenue in a local area. It also involves driving people physically into your place of business, whether that’s a store or even an office building, rather than only communicating via online or on the telephone. To improve your local marketing and increase your company sales, here are several strategies you can implement into your marketing campaigns. Local marketing focuses on the customers and what they specifically need and how they can benefit from your company. This means you need to find a very specific target audience. To do this, you can utilize The Manitoba Business Directory. Within this directory, you can find the businesses and companies who are in need of your services and have specific qualities you can address. Furthermore, when using a top business directory for Manitoba, you have access to comprehensive company profiles, allowing you to have the information you need to create a targeted marketing pitch. 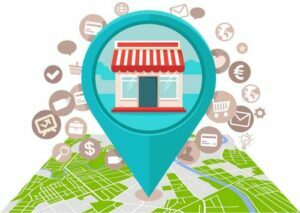 Even though you are targeting local companies, it is still imperative that you have a strong online presence. And not only should your site be search-engine optimized, you should also focus on generating strong reviews and ratings. Research shows that up to 93% of consumers say that online reviews affect their purchasing decisions. If you wish to increase sales and revenue, don’t forget about your online presence. The Manitoba Business Directory can be one of the best tools for marketing your own company. Within the Manitoba business directory, you want to create your own company profile. You need to provide an extensive amount of information regarding your company as well as much basic information such as email, telephone number, and address. This data makes it possible for other companies who utilize The Manitoba Business Directory to refer customers or patients to you. Furthermore, the more information you provide, the easier it is for companies to find you, particularly if they are looking for a specific skill set, service, or product that you provide. Local marketing is crucial for attracting local consumers and businesses. By utilizing the right tools such as a The Manitoba Business Directory and improving your company’s online presence, it is much easier to find that specific local audience who converts, and it allows potential consumers to easily find and reach out to you.